AP SA 1/ Summative 1 Revised Syllabus of Summative 2 Class Wise Syllabus Download. AP School Education announced Subject Wise and Class Wise High School Subjects Syllabus for SA II . 10th, 9th Class SA 2 Syllabus for Subject Wise and Chapter Wise. 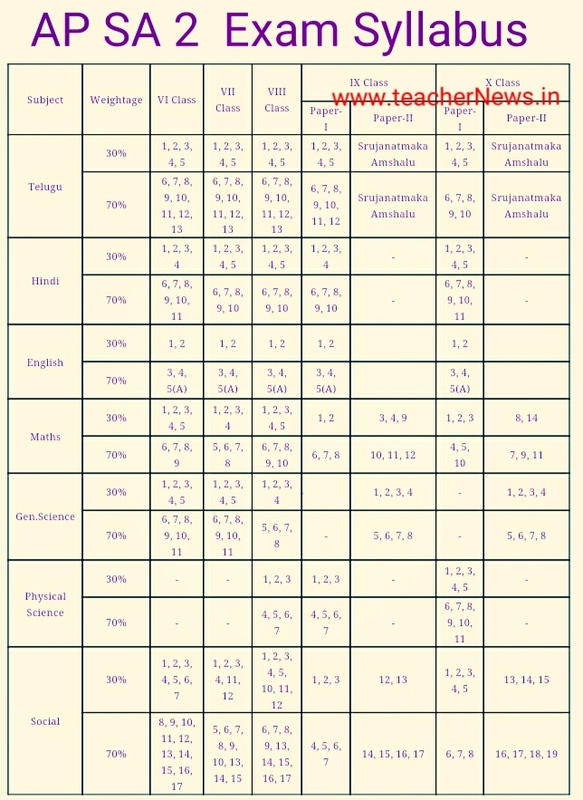 Telugu, Hindi English Math's, Physical Science ( PS ), Biology and Social Subjects Paper 1, Paper 2 Syllabus Download. 8th, 7th, 6th Class Subject Wise and Chapter Wise Syllabus Download. What is the syllabus for first language hindi?